Immediately following the 2014 FIRST ® Robotics Competition kickoff, two teams of VEXpro engineers faced off in a three day robot building whirlwind known as Build Blitz. 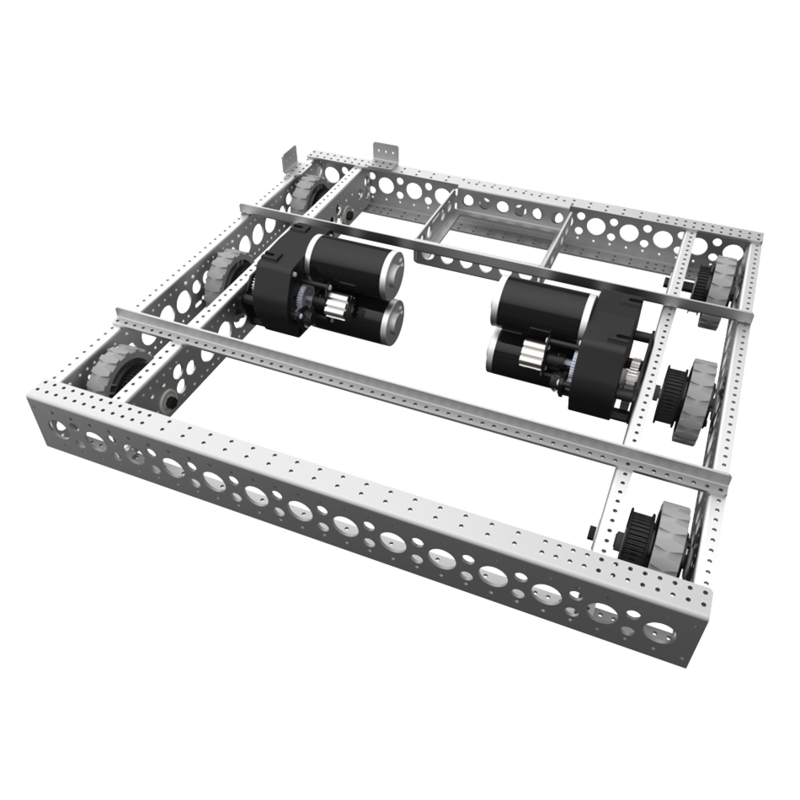 Team JVN designed a new sheet metal base with the intent that any team would be able to benefit from the lessons learned during Build Blitz, and the 2014 Drive-in-a-Day is the result of that effort. 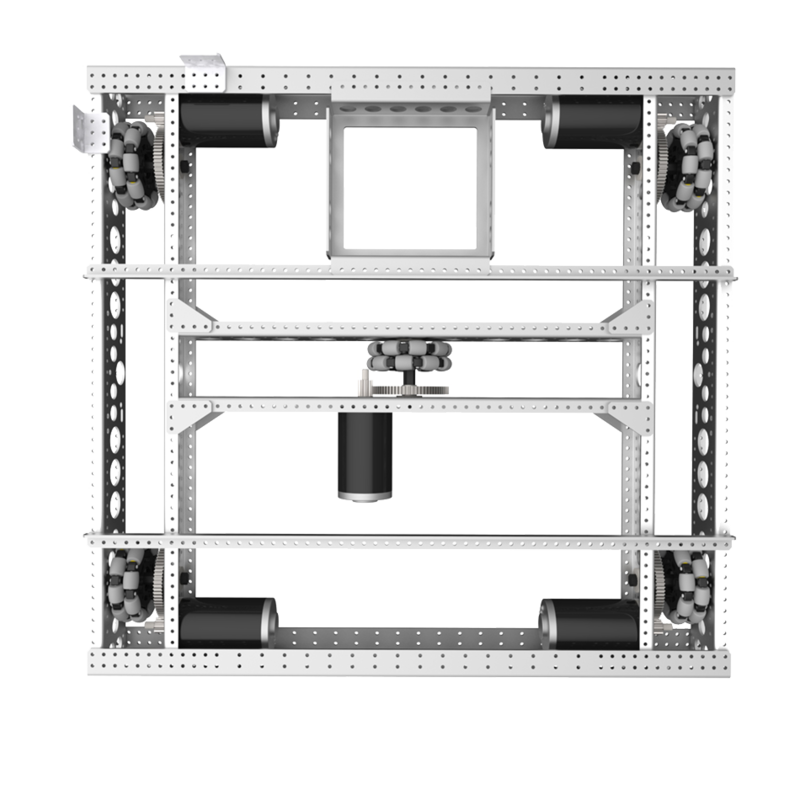 The 2014 Drive in a Day is a configurable chassis system that produces lightweight, affordable, and robust sheet metal drivetrains. With a 0.5" pitch and a wide variety of mounting holes for motors, gearboxes, and bearings, teams can use the 2014 Drive in a Day to build the drivetrain that's right for them. The Drive in a Day's side rails are where teams are going to see the most benefit. 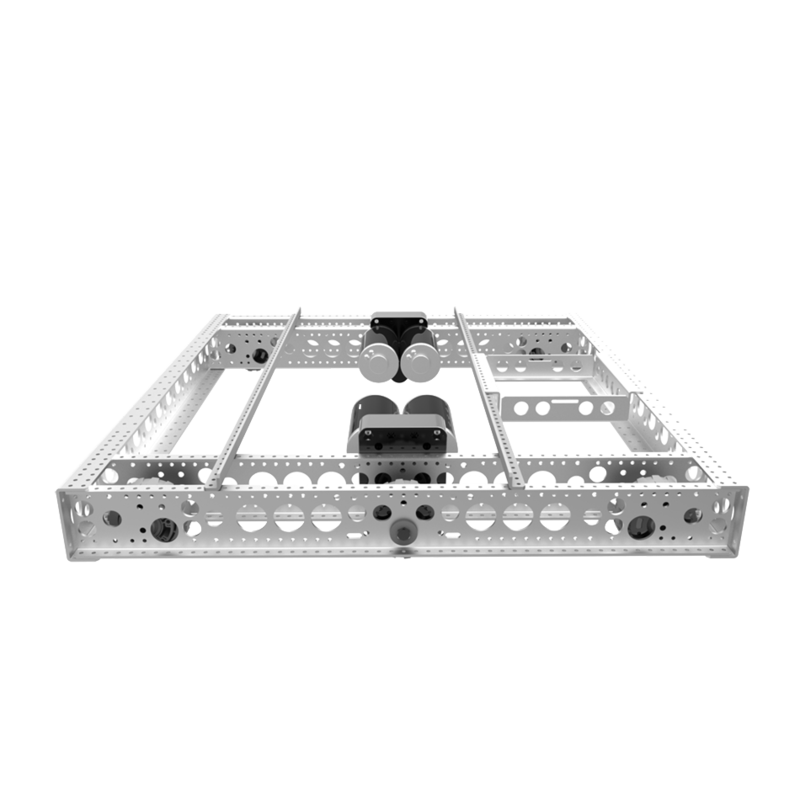 Years of FIRST ® Robotics Competition experience have led to an optimized hole pattern that can mount just about any configuration that would be applicable to the 2014 game, Aerial Assist. 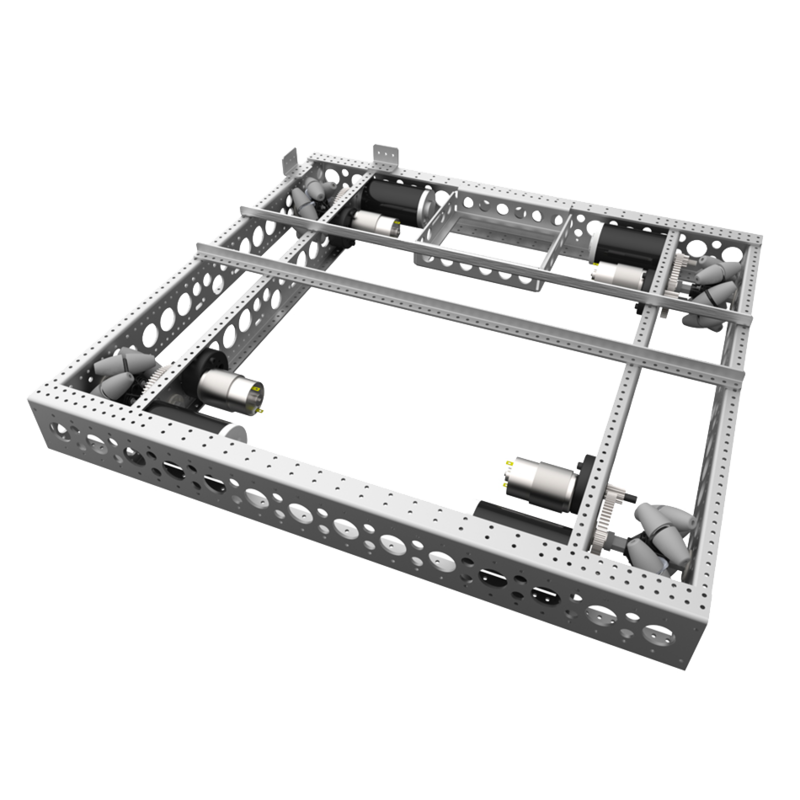 Includes an inverted "Nemo Hole"
Chassis Kit Dimensions: 28.5" x 26.5"